Myeloma UK supporter, Matt Banthorpe, chats with us ahead of his biggest challenge yet! Matt Banthorpe got into obstacle course racing 3 years ago as a way to lose weight and feel fitter. He was inspired by his dad, who is a myeloma patient, to adopt an attitude of ‘just getting it done’. Since then, he has completed several Tough Mudder and Spartan Sprint events and his next venture is hailed as ‘Europe’s Toughest Mudder’. We caught up with Matt to chat about how he’s preparing for the challenge and the inspiration he has gained from his dad’s positive attitude. Hi Matt, can you tell us a bit about your connection to myeloma? My Dad has always been a hero to me; he was self-employed for thirty-six years running a successful curtain business. He was never really ill but still pushed on when he was sick and regularly worked twelve hour days. He always had time for me and my two older sisters too. He instilled a work ethic into me of “you just need to get it done” so when he told me in January 2017 that he had myeloma it came as a huge shock to us all, but his attitude was still “you just need to get it done”. Watching him battle through all of the treatments and side effects as well as losing lots of weight was tough, but he never gave up even in the really dark times and never lost his attitude of getting it done. He’s now in remission and back to a healthy weight. My childhood friend’s dad also went through exactly the same thing about 3 months before my dad. Can you tell us a bit about the challenge and what inspired you to take part? Europe’s Toughest Mudder is a 12-hour, overnight obstacle course race. It’s made up of 5-mile loops with multiple obstacles that you have to climb over, under and through – all while battling the elements: mud, water, ice dunks and electricity. It starts at 8pm and finishes at 8am. You can complete as many or as few laps as you like. I am personally targeting eight laps for a total of 40 miles. The challenge has always been something I’d wanted to do, because I wanted to push myself beyond what I thought I was capable of. It seemed fitting to raise money to try to help Myeloma UK, because that’s what I’ve watched my dad do. How are you training/preparing for the challenge? I am part of a group who train outdoors with various personal trainers who are also into obstacle course racing. I train with them two to three times a week and also run a lot. I recently ran twenty-three miles on Saturday for the first time ever! I’ve also been out running in my wetsuit. When I get home my wife hoses me down from head to toe and then I go out running again. 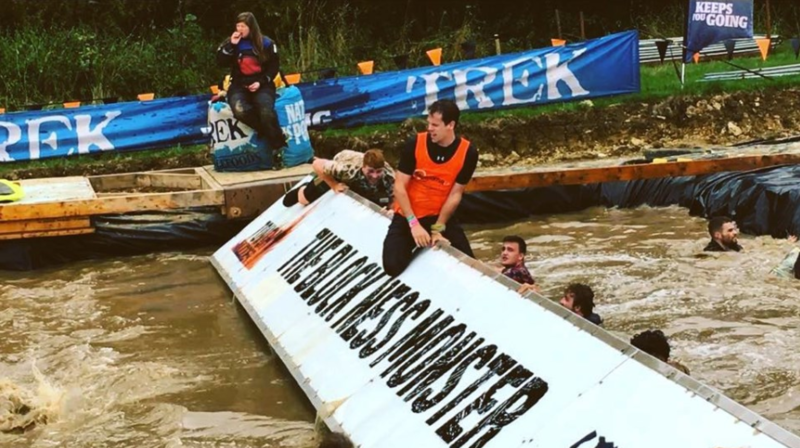 I’ve had some one-to-one personal training sessions with an obstacle course specialist coach, plus I’ve completed several races last year in the build-up to it. I’ve been playing with different foods whilst out for long sessions to try and understand what I need. How are you drumming up support for the challenge? At the moment, I am spamming Facebook. We have a swear jar at work and my wife’s church is doing a bake sale to raise funds. Why do you think it’s important to raise awareness of myeloma in the UK? Myeloma is not yet curable, but the treatment options are getting better. My dad had a stem cell transplant, even though he’s seventy, which is just incredible. However, it’s still not curable, so he’ll have to go through it again. Thanks to Matt for sharing his story with us – and good luck! If you’d like to support Matt and help make myeloma history, visit his Just Giving page. Feeling inspired? Check out the fundraising challenges you can take part in this year. Contact the fundraising team on 0131 557 3332 or email fundraising@myeloma.org.uk for a fundraising pack.